He arrived in Nashville in 1963 while the city was the site of sit-ins and racial violence. Two years later, he was a recording artist on a major label in the otherwise lily-white country music field, and in short time he became a superstar whose path would lead him to a Grammy Lifetime Achievement award and a place in the Country Music Hall of Fame. Charley Pride: I’m Just Me, will tell this remarkable solo journey amidst the racial complexities of country music. Genius of soul Ray Charles scored big in 1962 with his Modern Sounds in Country and Western Music album, and Nashville studios often housed integrated sessions, but country charts and package shows featured white artists singing for white audiences. Like Charles, Pride had grown up listening to the Opry each Saturday night, from his Sledge, Mississippi home. Pride listened to, studied, and imitated Opry stars Ernest Tubb and Roy Acuff, and the music spoke to him. In Mississippi in the ‘40s, the only thing that couldn’t be segregated was the radio, and Pride listened across color and geography, to the sounds that would lead him from the Delta to a larger, grander world. The film frames Charley Pride as a singular artist working in a distinctively American genre who stretched both the boundaries and definitions. 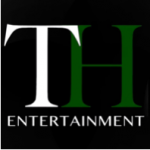 TH Entertainment has exclusive authorized access to Mr. Pride and strong connections in the wider country community. In addition to traditional on-camera interviews, on-camera conversation between selected guests and Mr. Pride sharing stories will provide foundation to the narrative including Darius Rucker, Willie Nelson & Rozene Pride. Clearance Services by: Clear Cut Inc.
TH Entertainment LLC is an internationally recognized television production and distribution company based in Nashville and Toronto. Our work includes feature documentaries, series & specials, live performances, authorized biographies, anthologies and commercials.